I can’t get over how many yarn shops there are in this area! And one of the most impressive is Blazing Needles in Salt Lake City. Blazing Needles won a “Best of Utah” award in 2010. 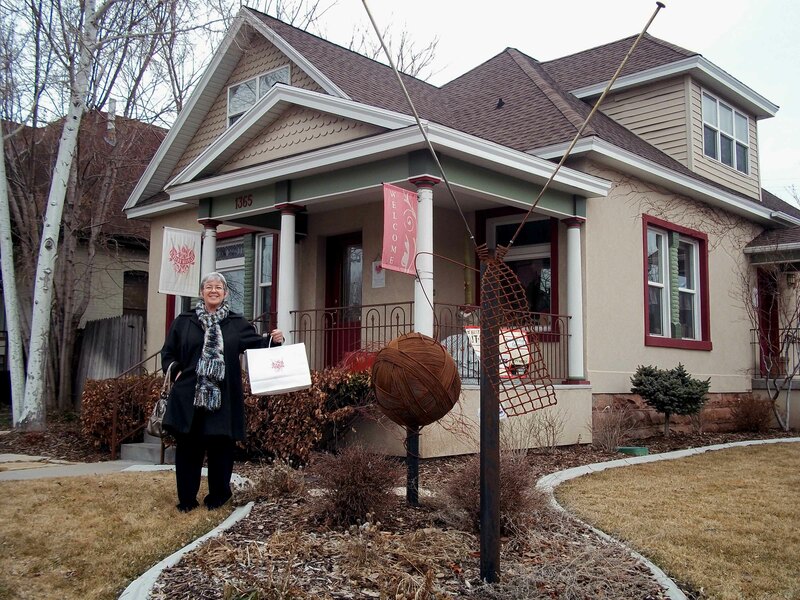 For those of you who don’t know what that is, like I didn’t until I saw the banner, “Best of Utah” is an award bequeathed by Salt Lake City Weekly based upon votes and staff picks. Walking up to the quaint house converted to yarn shop in the Sugar House section of SLC, already it’s easy to see why it’s a winner. And once you’re inside it is knitter heaven! Not only do they stock amazing yarns, like Alchemy Yarns, ArtYarns, Tilli tomas, Habu, Malabrigo, Hand Maiden, Queensland, Imperial Stock Ranch, and Koigu, they also stock a plethora of sundries and accessories. 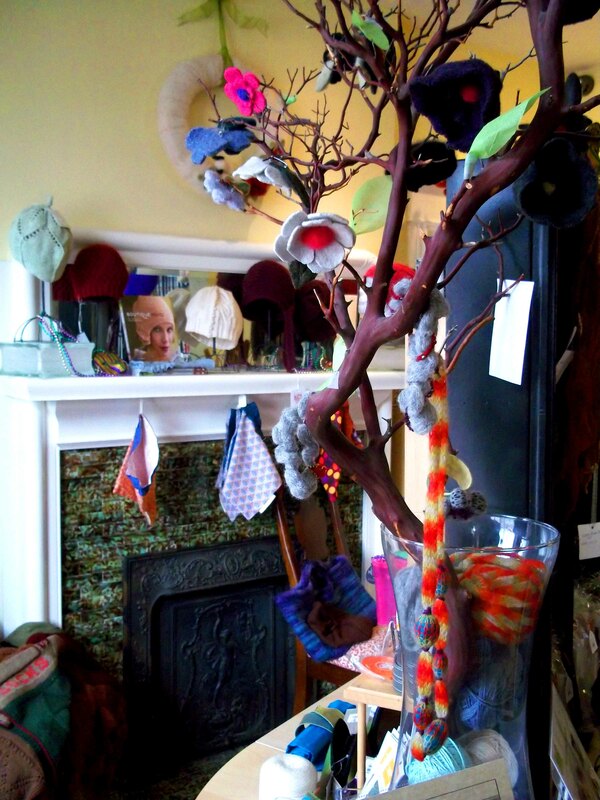 The entire place is like visiting a yarn art gallery, look at the amazing display below. Front room of Blazing Needles. They also have a little drinks station, where you can help yourself to a cup of coffee for a small donation. (I hear there’s wine at their knit night.) Lovely sale yarns are kept on the landing and knitting patterns abound with scrumptious knit samples creatively displayed for the shopping knitter to ogle. 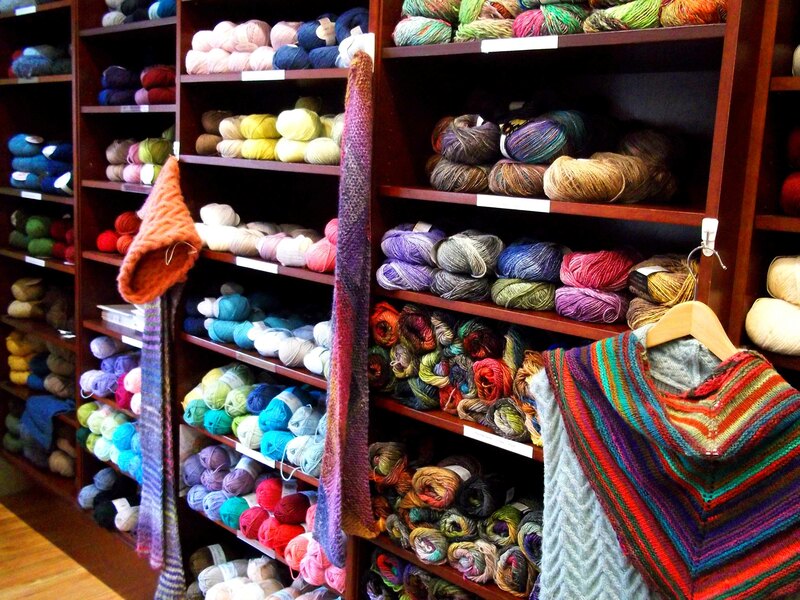 The back room is filled with gorgeous yarn and a nice table where they host knit night. Did I mention the wine? So many yarns, it's hard to choose! Plus, they keep your frequent shopper information in their computer, so you get rewarded for your purchases without having to carry something else in your purse. They will ball you skeins with their handy automated baller at no extra cost, though if you opt for this, you won’t be able to return the yarn. (Return yarn? Who would do that?!?!) They also have a ton of classes, which you can checkout on their website. I love the sculpture in the garden! A fellow shopper jubilant with her purchases! I’m thankful my knitting friend brought me here! 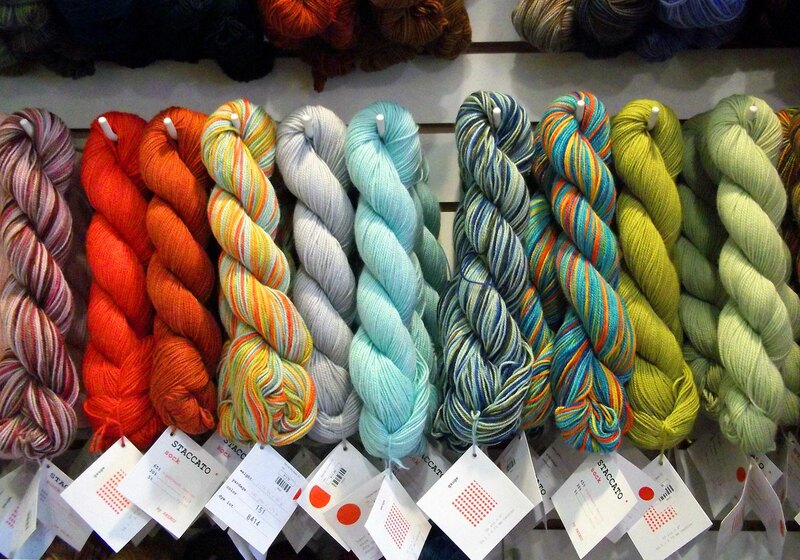 They’re one of the few yarn shops open on Sunday, if you need a Sunday yarn fix. I am taking my first knitting class at BN on the 18th of October – can I bring my own wine! Thanks for the blog – I’m really looking forward to the class.